Tyler Reidy is a woodwind instrumentalist in the Kitchener-Waterloo area. His love of music started at a young age but flourished when he started learning the woodwinds at the age of 14 in grade 9 band class. Tyler has just completed his Bachelor of Arts (B.A. ), Honours Music degree with an Intensive Music Specialization and a focus on Flute Performance from the University of Waterloo in June 2018. In addition to performance, his research focus in his undergraduate studies was on modified music education for children with autism spectrum disorder while investigating the intersections with music therapy and with keen focuses on lesson planning and music teaching techniques. In addition to academia, he has worked at Mohawk College as a language monitor and music instructor in the International Explore program for the past two summers and has taught privately for more than 5 years. Tyler has performed throughout southern Ontario in various ensembles, most notably the Haldimand Norfolk Concert Band, Hamilton Concert Band, University of Waterloo Symphony Orchestra, Grand Philharmonic Choir, University of Waterloo Balinese Gamelan, and various chamber music ensembles. He is excited to continue his education in Fall 2018 at Wilfrid Laurier University where he will be pursuing his Master of Music Therapy degree. 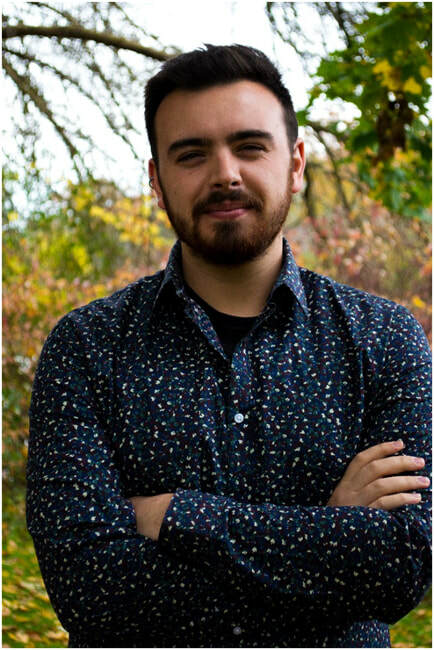 Tyler began teaching at the Sound Factory Music School in the spring of 2018. Tyler would love to meet you! Let's get started.